KinsKlub is an after school program for the youth in the Kinship Program. KinsKlub meets Tuesdays from 3:30-5:30 for grades K-3, Wednesdays from 3:30-5:30 for Grades 4-5, and Thursdays for grades 6-12 from 3:30-5:30 at the Kinship House. 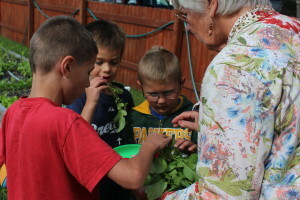 While here, Kinskids get help with homework, do crafts and other fun activities, participate in nutrition education and 4-H, and build positive relationships with the adult volunteers. 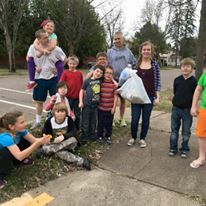 Volunteer and mentor, Phil, along with high school volunteer, Lindsay, clean up Tomahawk with the KinsKids for Earth Day. 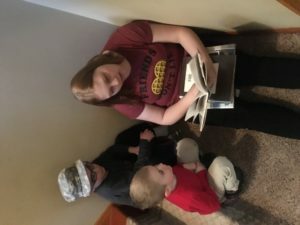 Teen volunteer Avi reads to KinsKids during homework time. KinsKids try radishes grown in the Kinship Garden. 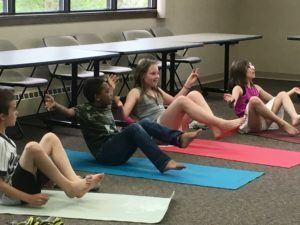 KinsKids participate in yoga during KinsKlub. 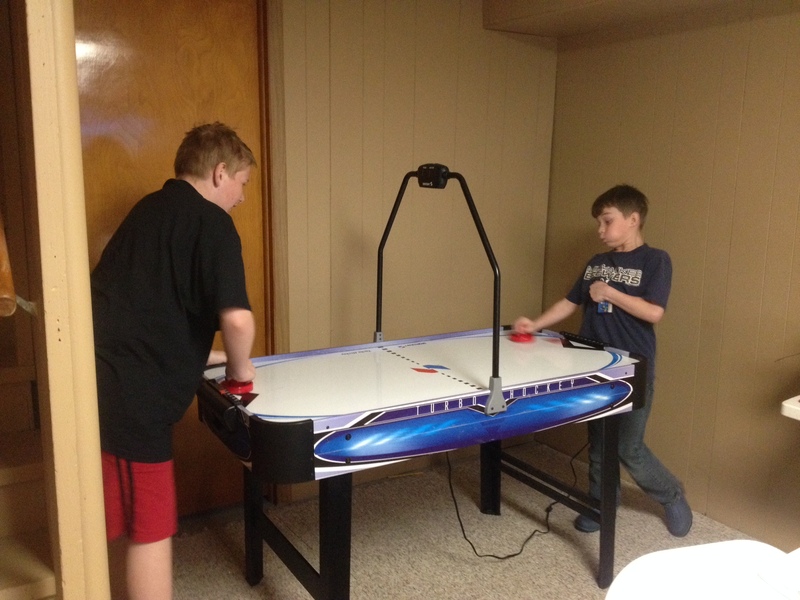 Austin and Jonathon play air hockey in the “tween/teen” room. 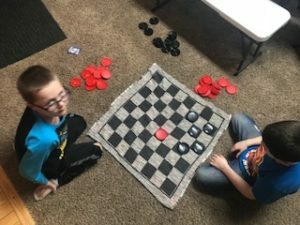 Traitynn and Andrew enjoy a game of checkers. 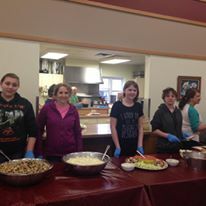 A group of KinsKids help serve a meal at the Soup Kitchen. 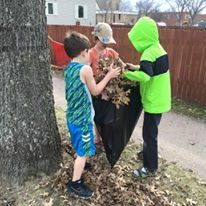 KinsKids help with yard work while practicing ‘working together’.